The Windows 10 app, Microsoft Whiteboard has introduced new two inking features. The ink beautification feature will now make handwritten notes legible by analyzing your handwriting and place readable strokes in its place. By capturing the photo from the physical whiteboard the ink grab feature will convert it into digital ink on the whiteboard app. It means there is no need to recreate the content from scratch and this saves the time. 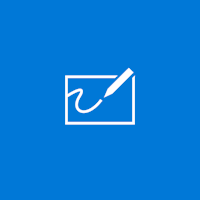 For now, the Ink grab and Ink beautification feature is only available on the Windows 10 app, Whiteboard and will be soon updated on the iOS app. Integration of Whiteboard into Teams meeting has also been announced by the Microsoft.